With limited, how you manage to make more money is very important. One easier way is crypto currency which is a rage right now. The best way is to start getting used to the crypto robots that promise great return rates and a detailed review of these available at Top 10 Binary Demo website. Thanks to HPO, JHSGW realized the mural could be at risk now that the house was up for redevelopment. 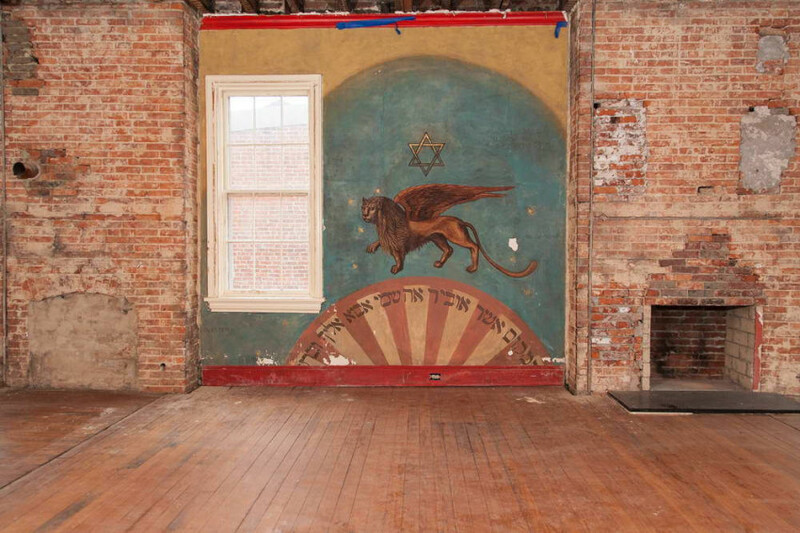 “We knew that [the previous owner] had sold the house, but only became aware of the mural’s current situation when we received an email from D.C.’s Historic Preservation Office asking us if we were aware of the mural and plans for the 415 M’s renovation,” explained Zachary Paul Levine, curator for the JHSGW, in an email to District Source. The practice of painting murals in synagogue interiors was brought to North America by Jewish immigrants from Poland and Lithuania in the 20th century, according to Levine. “Nearly a century after those communities settled here, few of these types of murals still exist,” he explained. Levine reached out to Brendan Meyer, a staff member at HPO, to ask for an introduction to BlackRock Holdings. From there the developer and society worked together to formulate the current plan to save the mural. JHSGW has partnered with Architectural Preservation Services, a Baltimore-based conservation firm, to remove the mural, which is painted on plaster that is attached to a wood lath attached to a brick wall. That effort to remove and then restore the mural will run at least $20,000, so the society is in the midst of a fundraising campaign. “I think this effort is the result of what happens when the city, developers, and historical organizations communicate and work together like we should. In the end, we all want to preserve this unique piece of D.C.’s heritage, and, fortunately, we have a framework for achieving this goal,” said Levine. While Moran is supportive of the effort, his firm has gone through design review and is waiting on permits to begin construction. Time is a limited resource. Both Moran and Levine expressed optimism that the community will help secure the future of this small piece of Washington history. For information on how to donate, visit http://www.jhsgw.org/savethemural/index.php or contact the JHSGW directly at 202-789-0900.